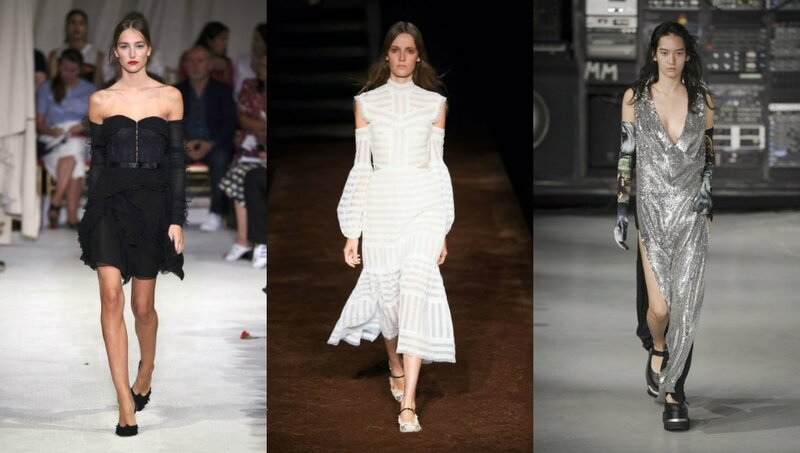 Would You Wear… Detached Sleeves? Bare it all (or, you know, just your shoulders). “Are you attached?” takes on a whole new meaning when you contemplate buying your first set of detached sleeves. The step-sister of the cold-shoulder trend, detached sleeves are precisely what they sound like: generally sold as part of a top or dress with sleeves, but they happen to be unattached to the garment itself. For this reason, maybe it’s best to stick to the less expensive side if purchasing a dress or shirt with detached sleeves. However, how fun would it be to change it up all the time with varying heights and pairing them with other items in your closet? Now we have to know what you think! Would you wear a shirt with detached sleeves? If you would, how would you wear them? Comment below! Tags : Fall 2016, fall trends, Would You Wear? Previous Would You Wear… Fishnet Socks? Next Would You Wear… Glitter Booties?